These decadent brownies are flavored with coffee and topped with a Bailey’s-infused chocolate ganache. 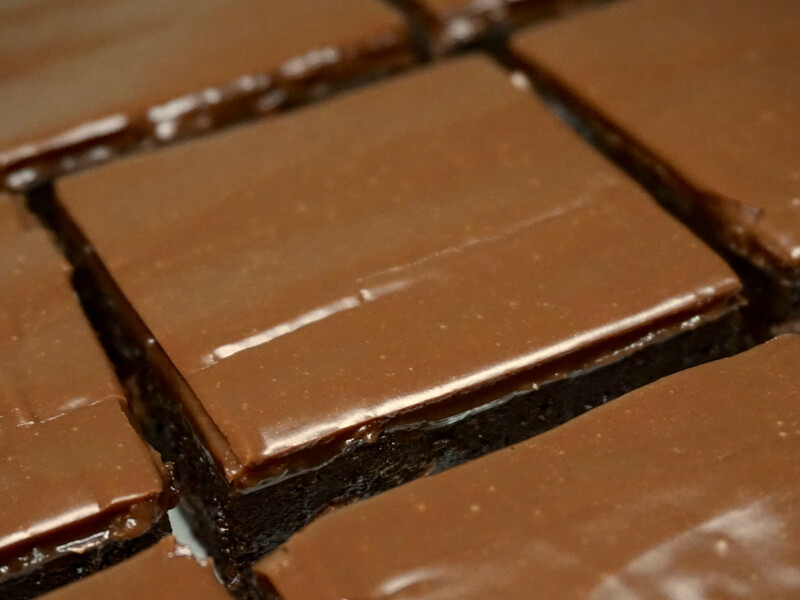 Yields 9 2 ½”–square brownies. 1) Preheat the oven to 325°F. Line an 8” square baking dish with parchment. 2) In a medium mixing bowl, combine the flour, cocoa powder, and salt and whisk until evenly mixed. 3) In a large, microwave-safe bowl, combine the butter and 2 oz chopped milk chocolate. Microwave on high for 30 seconds at a time, stirring in between, until the chocolate is just melted and the mixture is smooth. 4) Add the sugar and instant coffee to the chocolate and butter mixture and whisk until completely dissolved, then add the vanilla extract and eggs. Continue whisking until the mixture is completely smooth and even. 5) Add the flour, cocoa, and salt mixture to the bowl and whisk until just combined. Switch to a rubber spatula and fold in the remaining 4 oz chopped milk chocolate. 6) Pour the batter into the baking dish and spread it to the edges. Bake until the top is completely set, about 25–30 minutes. 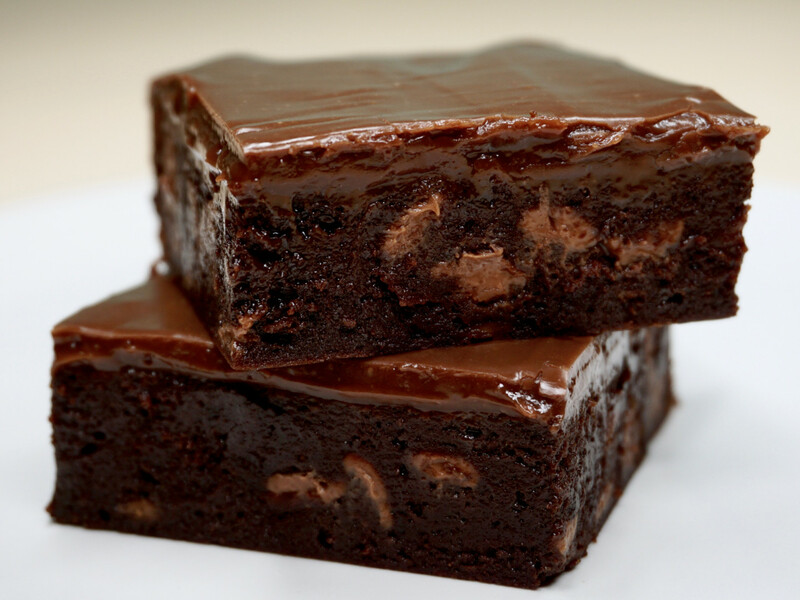 Do not overbake the brownies; they should be moist and a little gooey. Let cool for 10 minutes before removing from the pan and topping with the ganache. 1) In a small microwave-safe bowl, combine the chopped milk chocolate and cream. Microwave on high for 30 seconds at a time, stirring in between, until the chocolate is melted and smooth. Take care not to overheat the chocolate. Add the Bailey’s and whisk until evenly combined. 2) Pour the ganache over the slightly cooled brownies. Use an offset spatula to spread it gently to the edges. Let the brownies cool completely before cutting; this will take about 2–3 hours at room temperature. This recipe was adapted from American Heritage Cooking, who originally adapted their recipe from Half-Baked Harvest. This entry was posted in Blog and tagged Bailey's, brownies, chocolate, coffee, ganache, Irish coffee, Irish cream, milk chocolate, recipes, St. Patrick's Day.